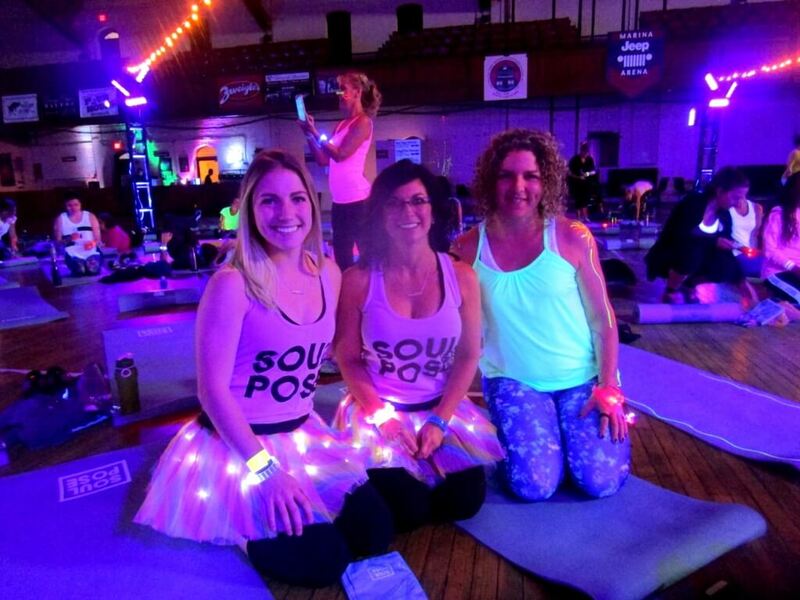 Today, over three sessions, 1,500 people crowded into the East Main Street Armory for Soul Pose. 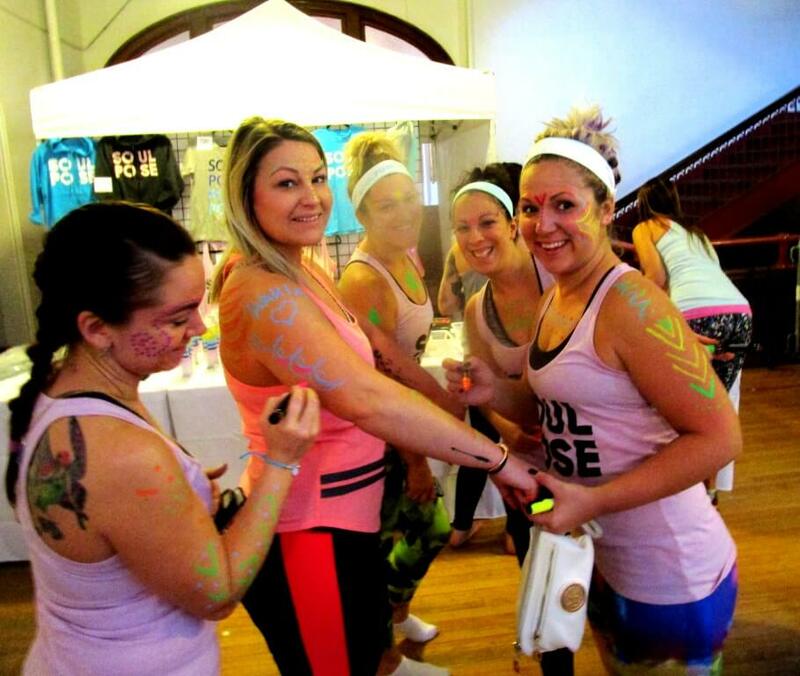 Brought to the Armory from the makers of The Color Run, Soul Pose — the Happiest Yoga on the Planet! 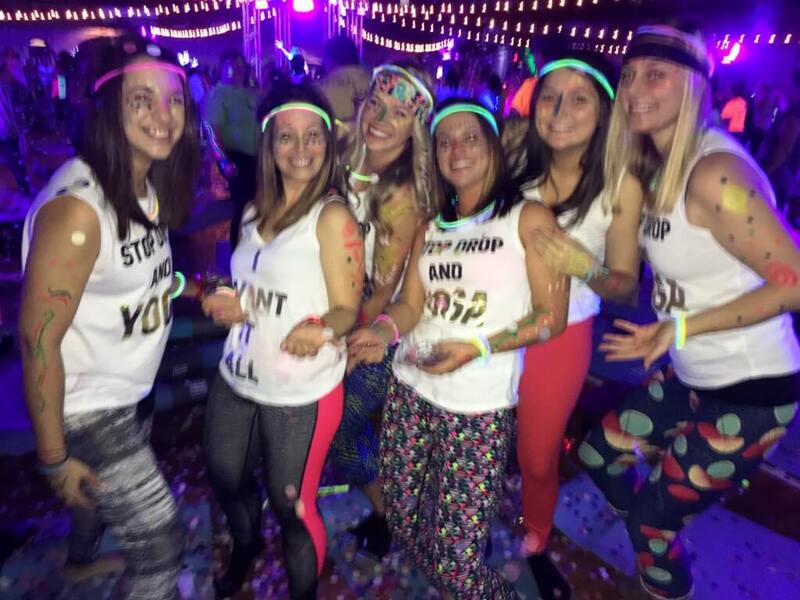 — is a blacklight yoga party: an hour of fresh beats, body paint and dance breaks. Before the 11:30 a.m. session, I met again Dr. Joanne Wu, leader of that session. 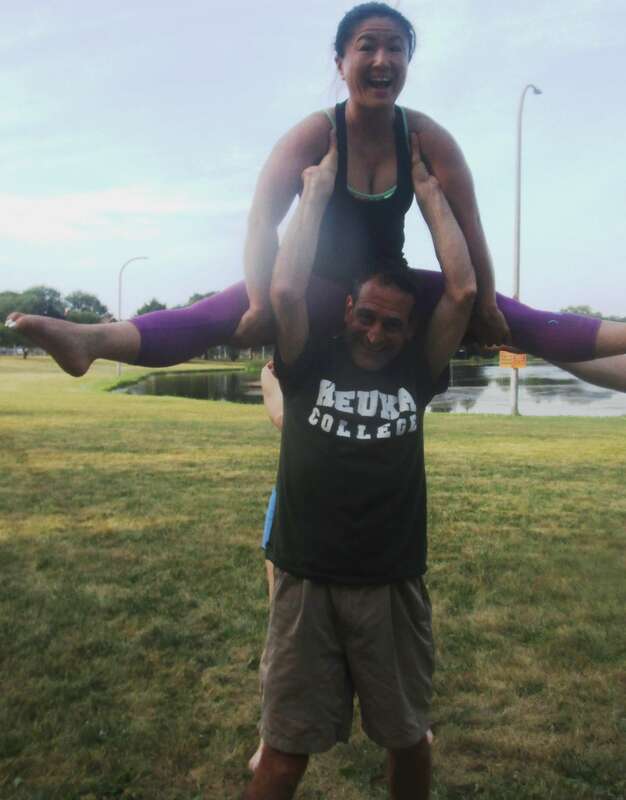 In Flowering Upper Monroe, we saw Joanne leading an Acro Yoga group at Cobb’s Hill. 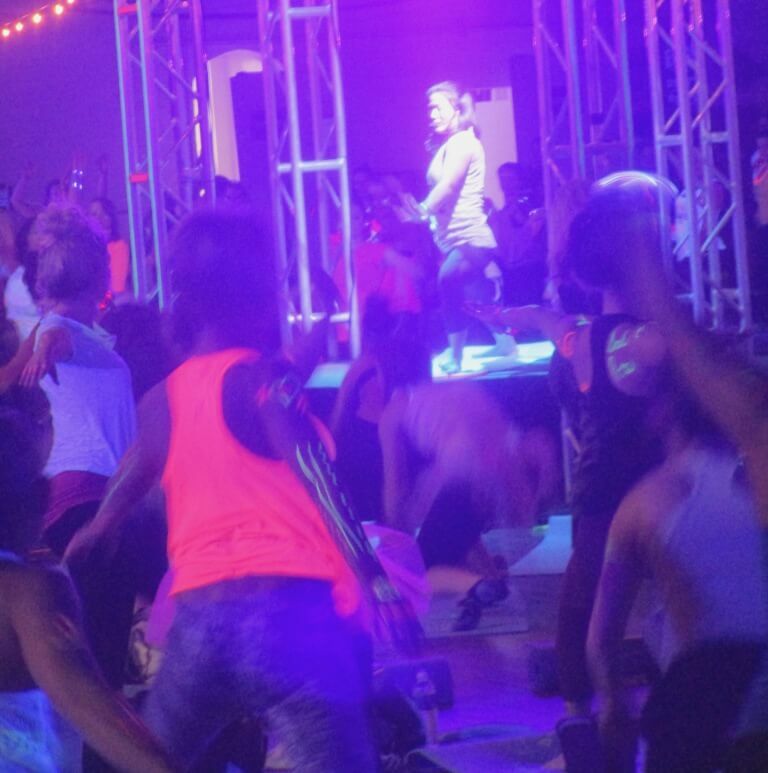 Just like at Cobb’s Hill, Joanne was at the Armory to share her passion for yoga. 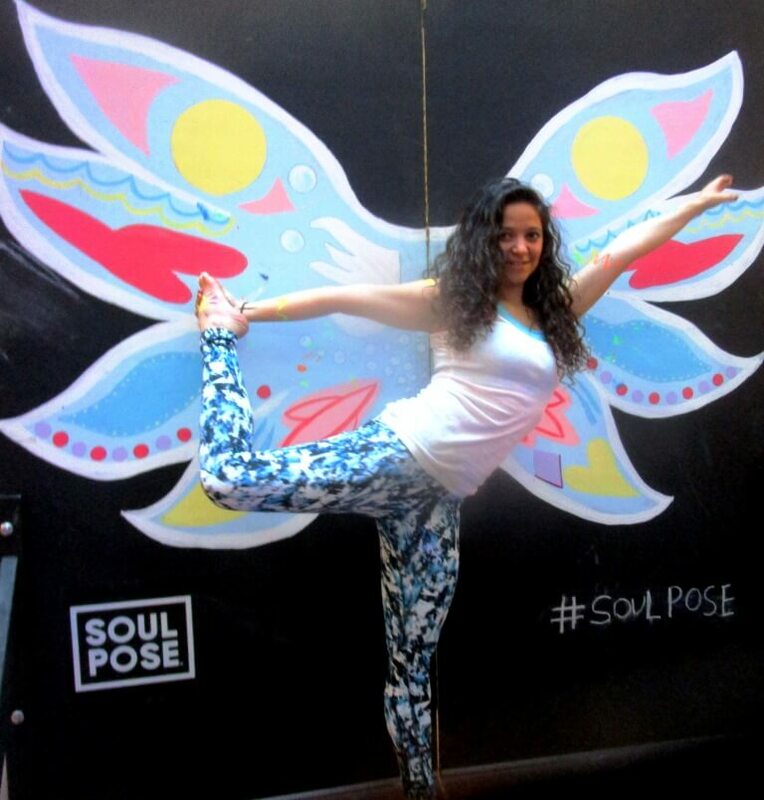 Joanne explained that, for many, Soul Pose was their first such experience. According to the pre-event questionnaire, 70% were yoga newbies. This was John’s first yoga experience. He says he’ll be back next year. 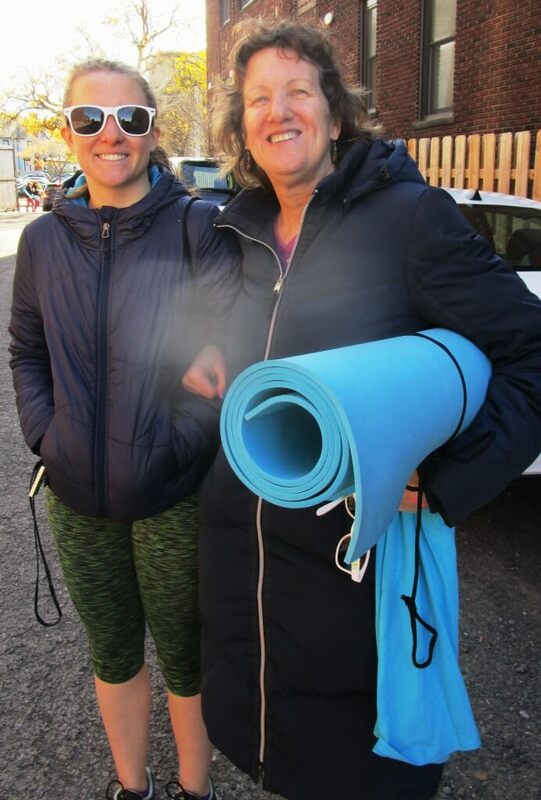 Joanne’s goal was not to teach complicated moves, but to get everyone’s bodies moving and enjoying mind clearing and health building yoga poses and asanas. Joanne quickly both relaxed and inspired the group, for example, by encouraging people to focus on three things they like about themselves to express and find strength through the warrior pose. I also met Lindsey Mease. Lindsey was helping organize the event and even showed me how to pose like a tree! There were a few guys at Soul Pose, maybe ten during this session. For the most part, the Armory was filled with a feminine spirit. 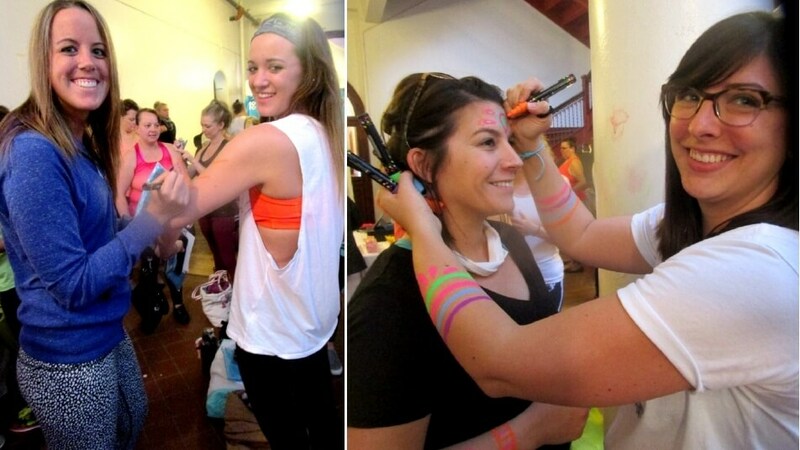 Much of the fun was the pre-yoga party body painting and photo ops at the butterfly panel. Assisting with painting was Susie Wusterbarth from Nunda Yoga in Nunda, NY. Apologies for some photo blemishes. Just discovered the camera lens is scratched. Susie Wusterbarth of Nunda Yoga, painting to the left and in front of the butterfly. Stacy Falkman. Stacy danced at SUNY Brockport in college. You met Laura Wolanin with the Bernie Sander’s marchers at the St. Patrick’s Day parade. To find some solace, Laura channeled her inner Bernie. The Ferenc sisters came to the event in Buffalo. 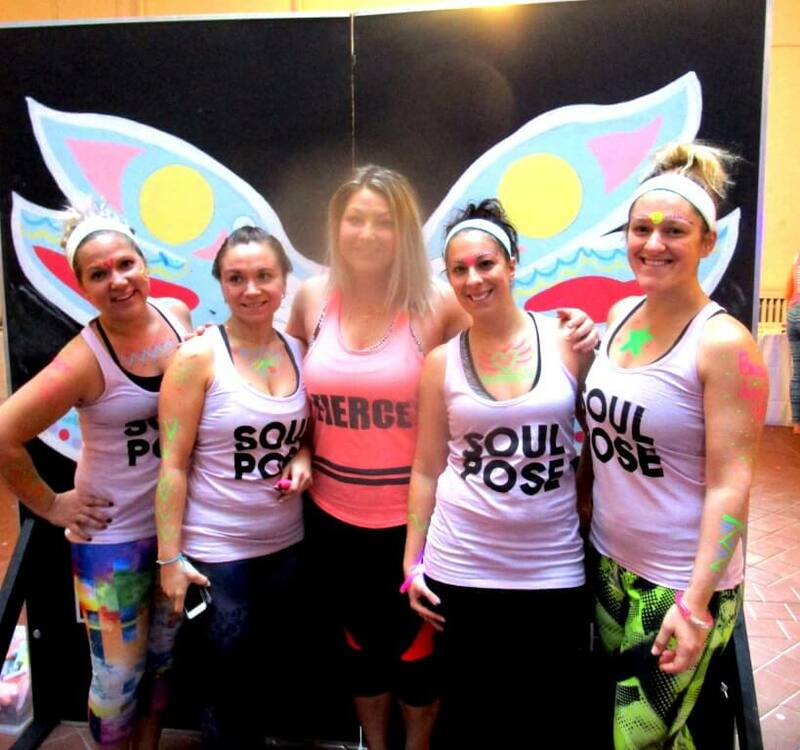 They enjoyed Buffalo’s Color Run so much, they decided to try Rochester’s Soul Pose. Joanne demonstrating the warrior pose. Throwing confetti at the end of the yoga party. Taken with Patricia Snavely’s cell phone. 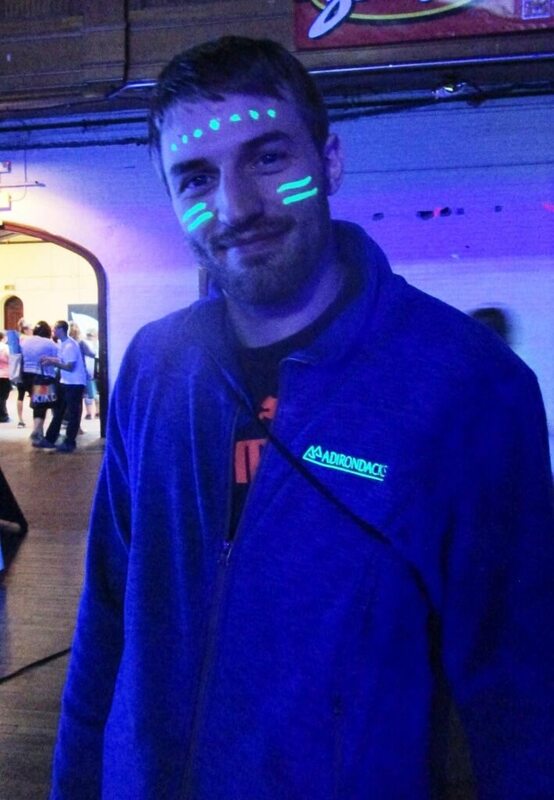 The event was also sponsored by sponsored by 13Thirty. 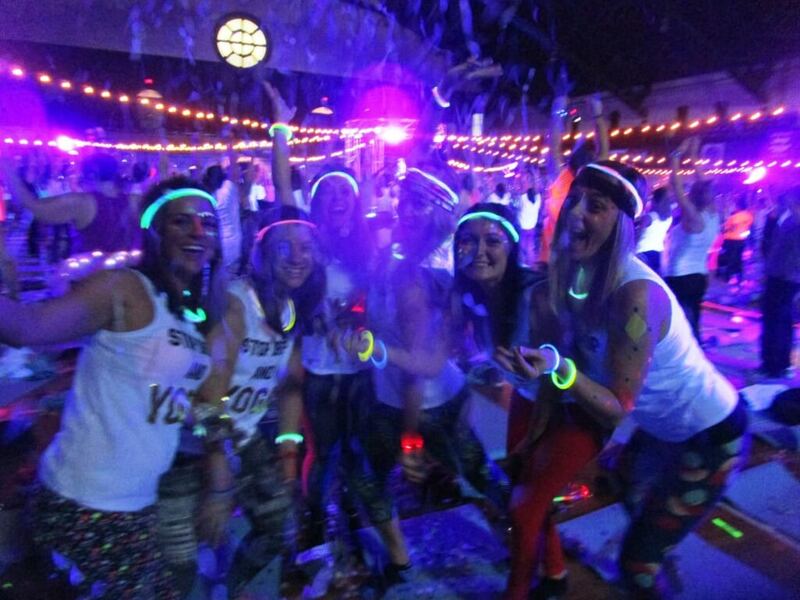 The Rochester chapter’s Steve Esposito said that 13Thirty had worked the Color Run, so Soul Pose was a natural partner. 13Thirty volunteers Erica Esposito (left) and Olivia Siciliano (not pictured Kelly Fenton and Steve Esposito). 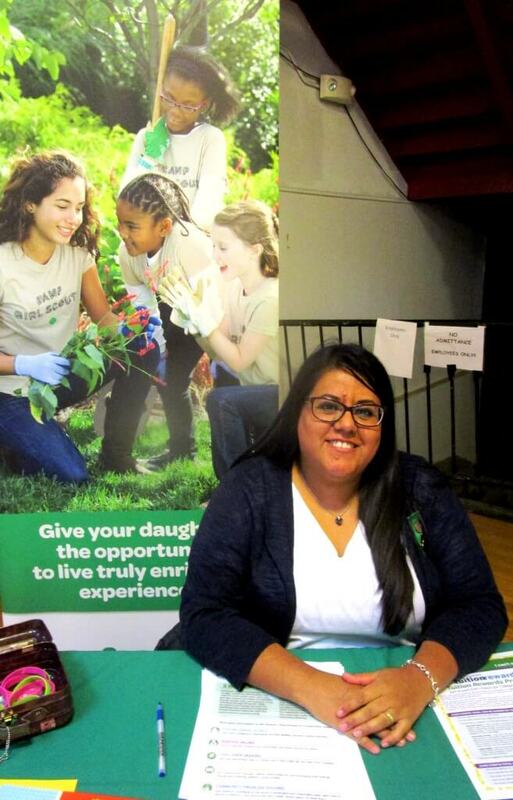 Silvia Widsish, Girl Scouts of Western NY. On the way out, I met Ellen Rougeux from Oneida, NY visiting Jennifer who lives and works in Rochester. 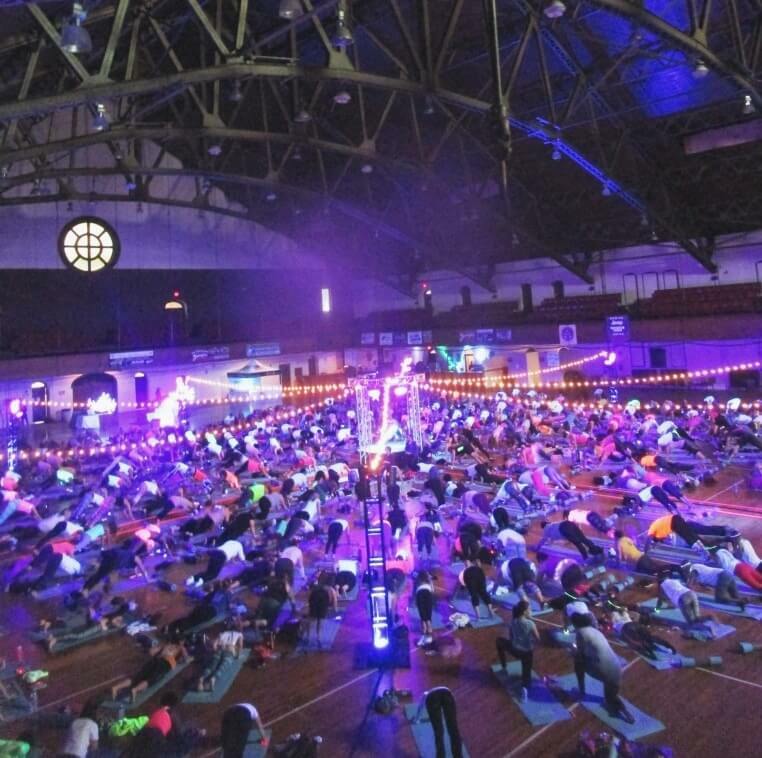 Ellen does online yoga and occasionally small classes, but never a mass event like today’s at the Armory. 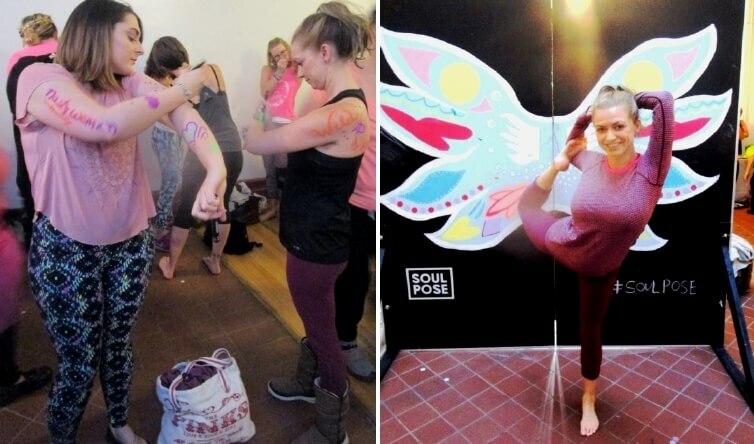 Ellen said Soul Pose was a on big yoga celebration and she loved it. 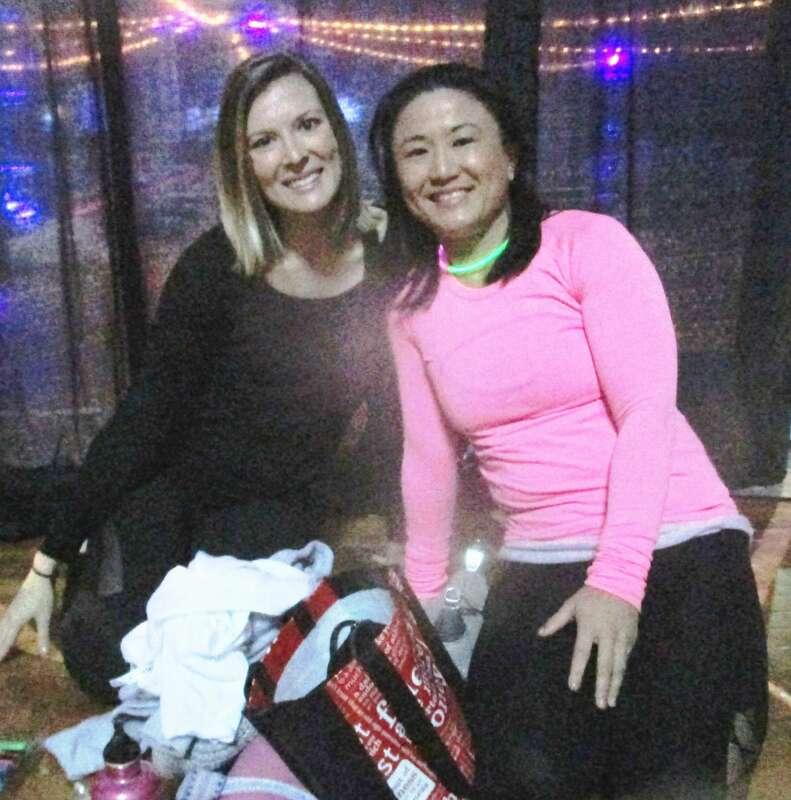 Jennifer (left) and Ellen Rougeux had a great mother-daughter bonding time at Soul Pose yoga.